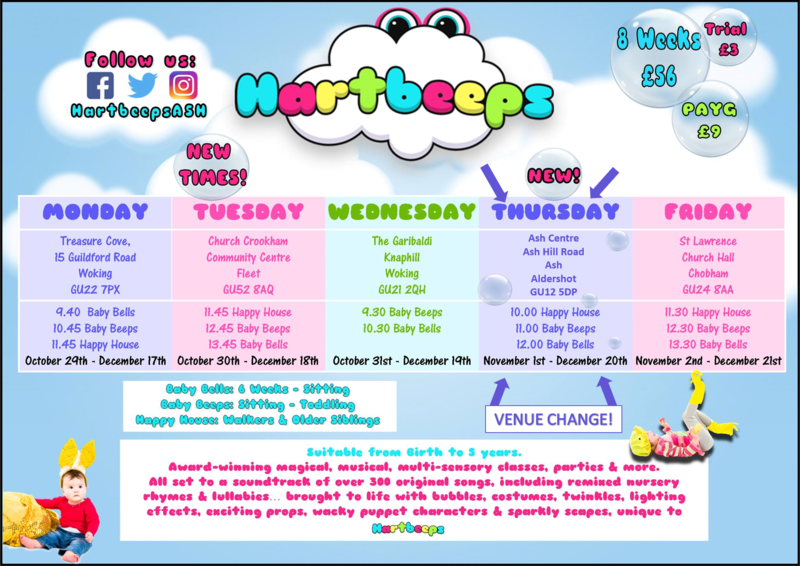 Hey I'm Jessica and I run many sessions throughout the week, I also offer Hartbeeps birthday parties and am available to bring the Magical Hartbeeeps world into your Nursery as all of our programmes have been structured around the four key themes of the Early Years Foundation Stage. 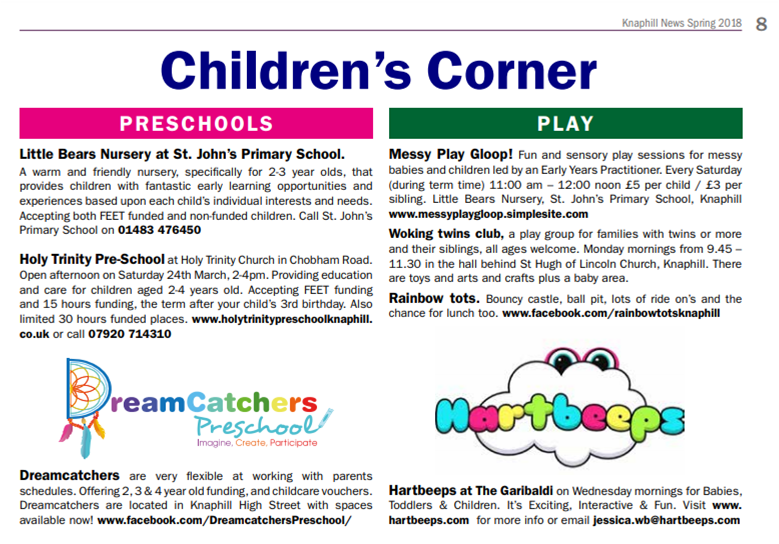 I can't wait to meet lots of new faces and watch your little ones explore and develop on our many journeys down the rabbit hole. 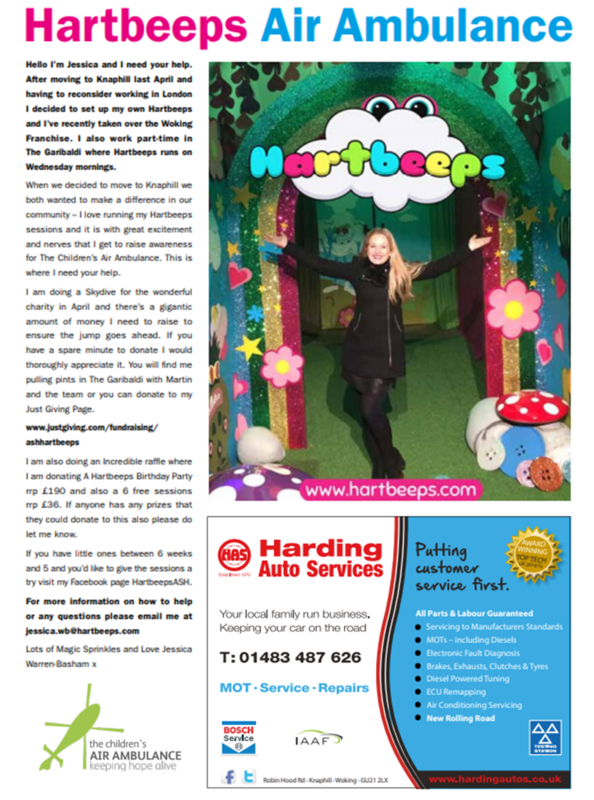 Hartbeeps is so special to me as I had a passion for performing from a very young age - it's just wonderful that I can pass this on to a new generation as it's never too early to be involved in the magic and excitement of the imagination. 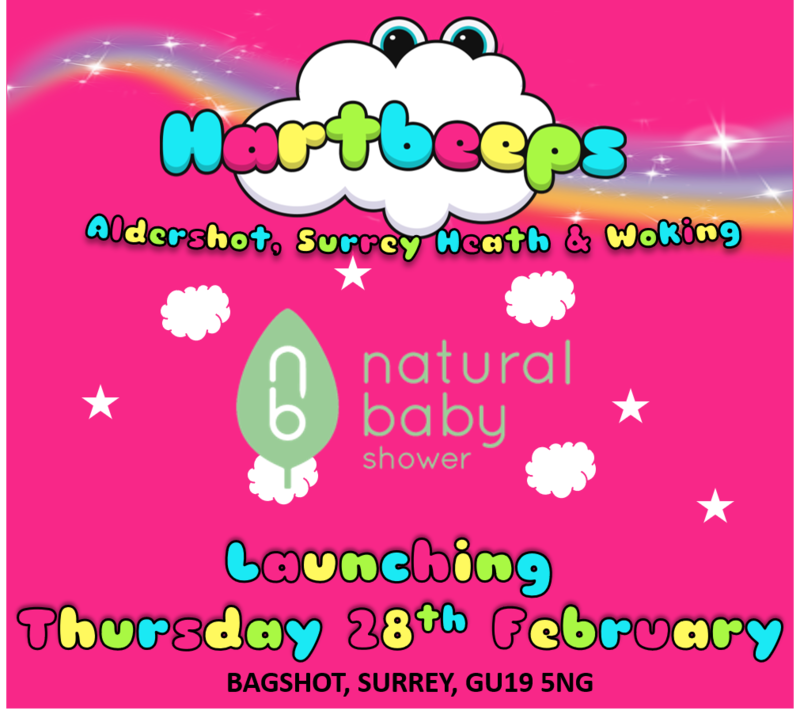 Hartbeeps is immensely rewarding and provides just the right amount of wonderment for those exciting early years. 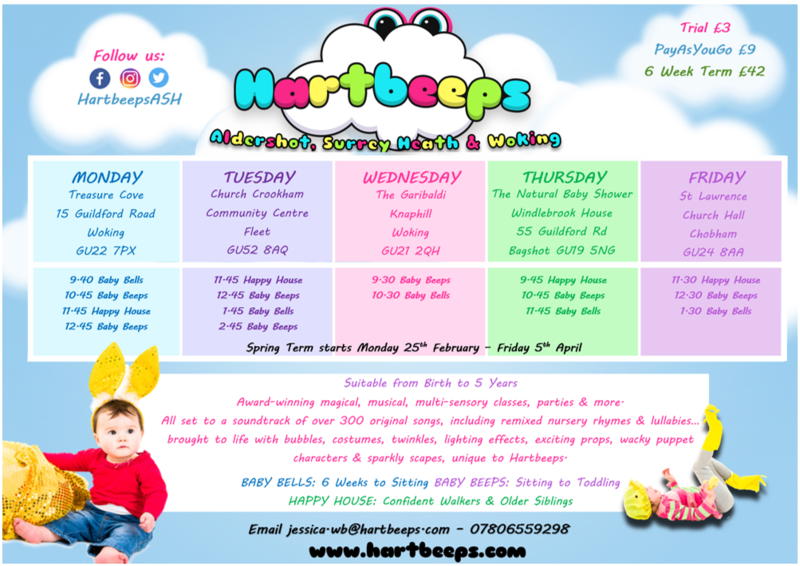 They are created to help babies grow in confidence, develop great social skills and attain their appropriate development milestones. Your child will absolutely love it. 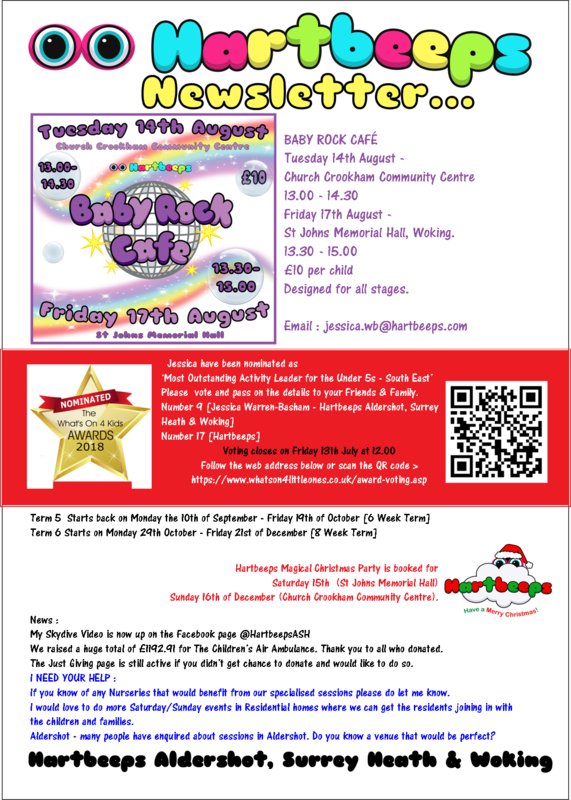 NEWSLETTER - DATES FOR YOUR DIARY! 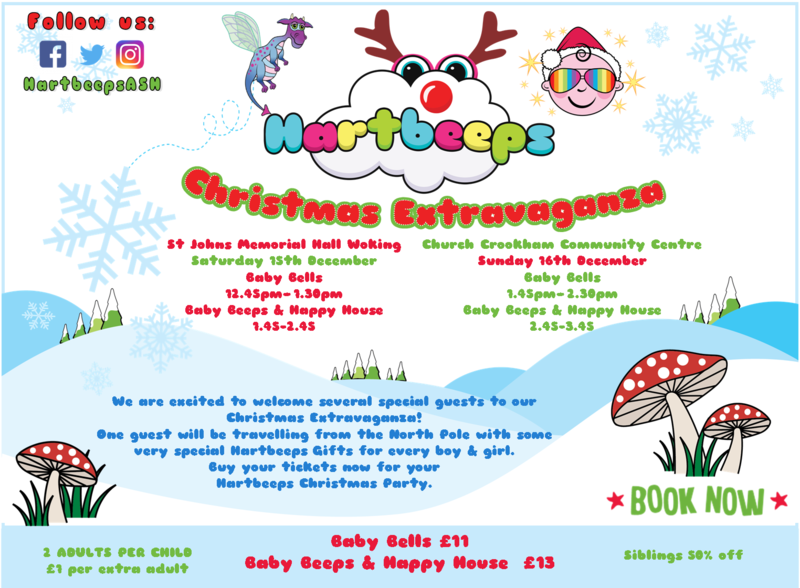 Christmas Extravaganza Tickets also on sale now.. 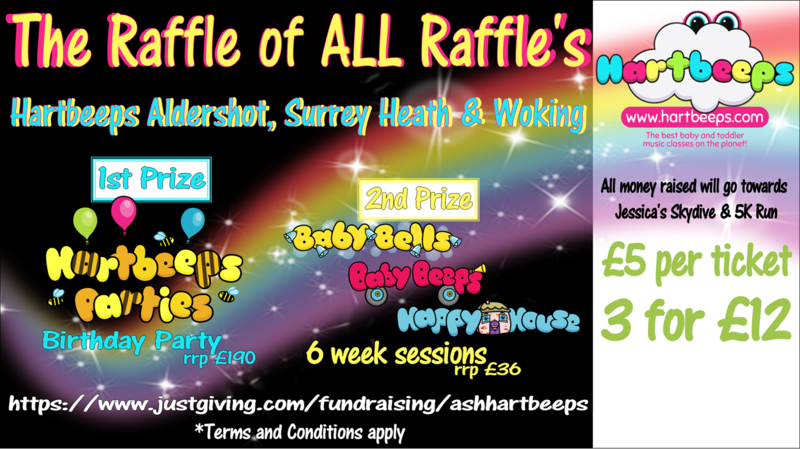 I am doing an Incredible Raffle where the 1st prize is a Hartbeeps Party, 2nd Prize a Full Term of sessions and many more prizes. *Arrive at least 5-10 mins before the start time. *Please wait for doors/curtains to be open before coming in to the area. *You can bring any buggies into the venue please see suitable parking area. *Please take off your shoes - we want to keep our space extra safe. *You might want to bring a camera/ fully charged phone to take some photos. *In regards to photos - if you have other children in them please think about their privacy before posting on social media. 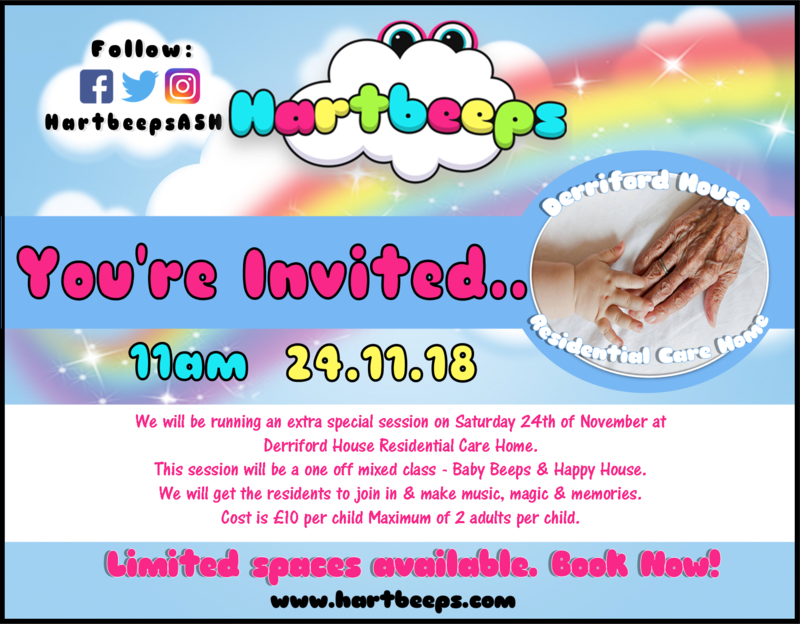 *If you have a family member/ friend attending please ask them to take a seat to watch - if there is enough space they are then more than welcome to join in on the mats. 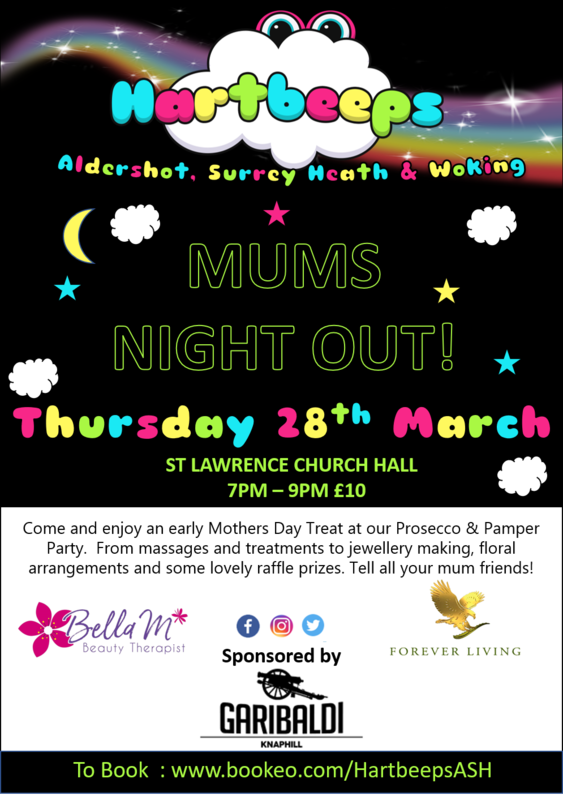 *If you are unable to make a class - a make up will be offered where available but you must inform Jessica at least 48 hours before. One make up per term. There are no refunds for missed classes. Last but not least please leave all of your worries at home and relax. We want you to have as much fun as possible! 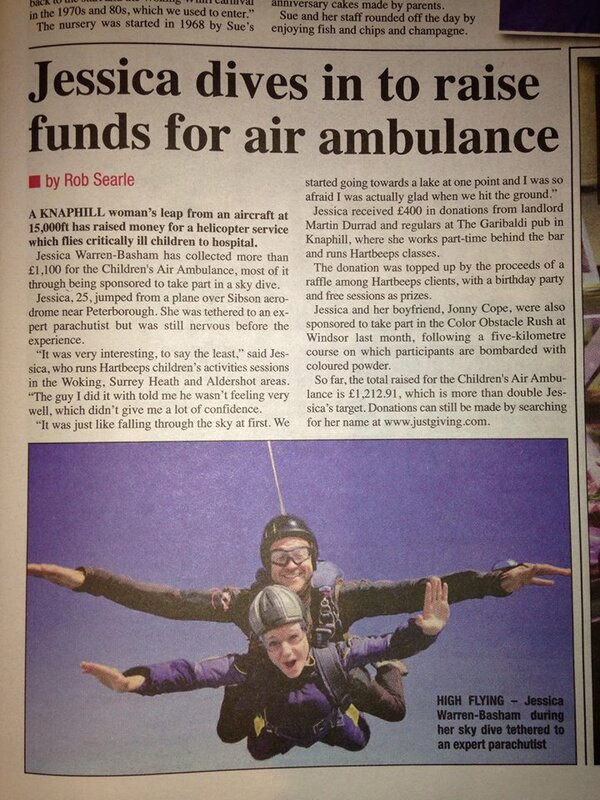 Success at Kingsbury Court Care Home! 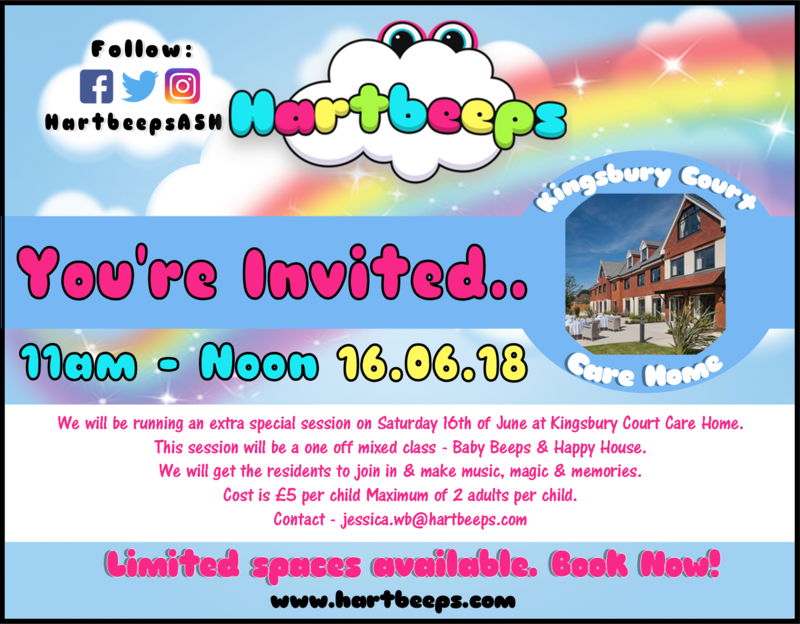 We had a ball at Kingsbury Court Care home - please keep posted for future Care Home events - these will be held on Weekends.